It all began on the second storey of a cosy Park Street flat in New Haven, Conn. It was there, in the heart of Yale’s university district, that master’s student Marianne McKenna foreshadowed her future as one of North America’s most influential architects. The prophetic moment presented itself in a simple sketch she designed for her roommate, Meryl Streep. “She made a little drawing of our tiny kitchen that she hung over the actual kitchen table, mirroring and miniaturizing the view. I cherish it to this day,” says the Oscar-winning actress over email. “Her vision, the way she looked at structure and line, was always sharp, clear and uncomplicated. This clarity was always and invariably informed by her own sensuous nature — her emotive, true and visceral reactions to people, places, spaces and events.” That innate force of affection is the steel that struck McKenna’s flint in an industry where so few have found their spark. Renowned architect Barton Myers recognized that flicker the moment he met her at a Montreal soiree in the late ’70s. Following a lecture series, the recent Ivy League architecture graduate dined and discoursed with Myers, who at the time was greasing the wheels of a Toronto-based firm that would go on to become an international marvel. “I found her very articulate and interesting,” says the founder of Barton Myers Associates Inc., who’s since moved his life work to Los Angeles. “I tend to choose someone who I think is intelligent and organized and has reasonable artistic ability — someone who will probably survive.” For Myers, McKenna was a natural selection. 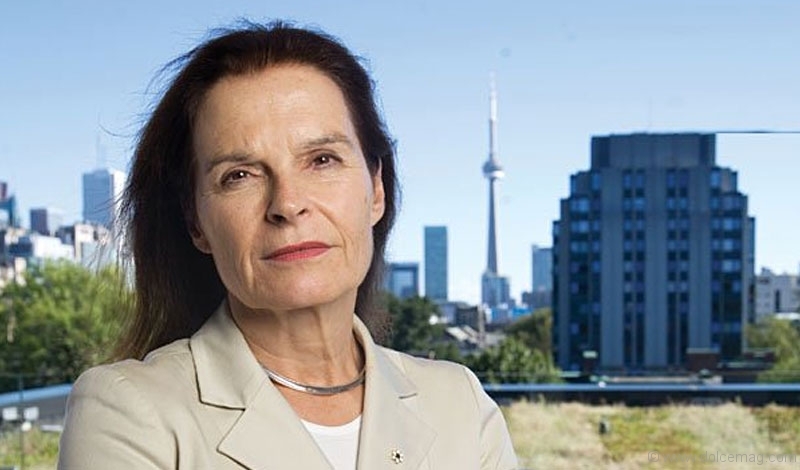 Nearly 35 years later, the Officer of the Order of Canada, who’s been named one of the country’s most powerful women, has gone far beyond maintaining a pulse in a Darwinian industry slimly designed for the fittest. “Within five years I had the most talented firm in the country,” says Myers. But when he flew his studio south in the late ’80s, his Toronto progeny, Bruce Kuwabara, Thomas Payne, McKenna and Shirley Blumberg, decided to stay put and formed an acronym that spread its wings to win 175 awards, earn 12 Governor General’s Medals and design some of North America’s most notable properties. “Initially they were hesitant about going out on their own but once they did it’s been gangbusters,” he proudly adds of KPMB Architects. 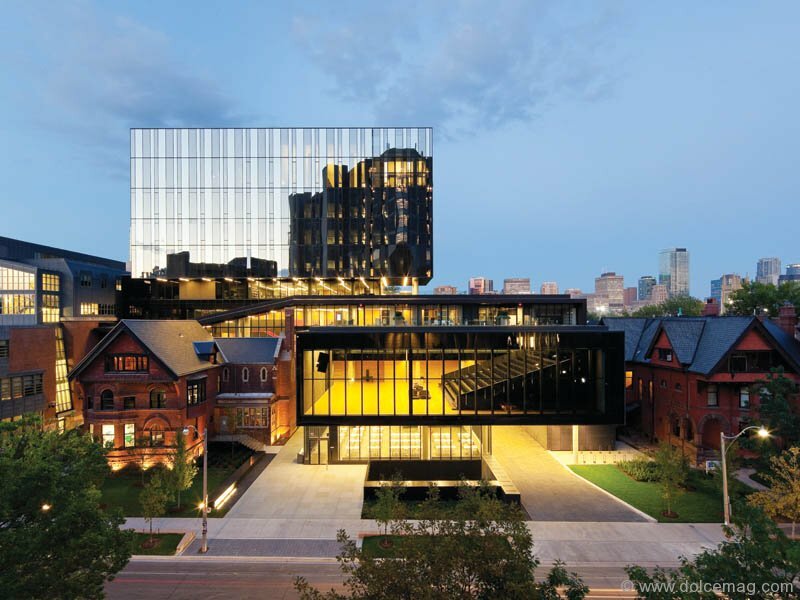 It’s just after 3 p.m. at the University of Toronto’s Rotman School of Management and the monomaniacal attention to detail McKenna’s become known for burns brighter than the flames blazing from a matte black wall to her right. The contemporary inset fire feature is one of an infinite number of elements she’s become intimately familiar with as the partner-in-charge of the business school’s recent $92-million expansion. “I see everything. It’s a curse,” says a smiling McKenna. Her resemblance to actress Ali MacGraw is as evident as it was when Myers gave her the Hollywood moniker 30 years ago. “I have the ability to scan and see when something is slightly out of place or not quite right,” she adds, whirling her head around a glass atrium that lacks the anachronism you’d expect from an institution of its age. Her organic passion ricochets off perforated wood panels. Behind her is a café lounge outfitted with white chairs that summons student interaction and beckons a bustling St. George Street with its see-through floor-to-ceiling face. To her left is a conspicuous staircase accented with a fuchsia ribbon of paint that runs all the way up to the elevated glass-box event hall. 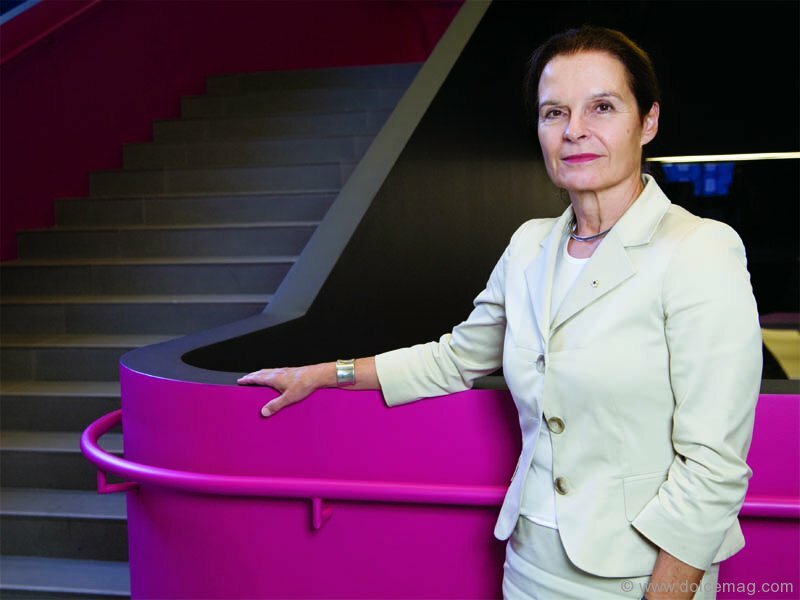 The hot pink punch was an unexpected intonation that helped the firm she co-founded in ’87 win over a university selection committee in a cut-throat architectural competition four years ago. “I like it because it transcends any idea of a colour being gender-based,” says Montreal-born McKenna. It also didn’t hurt that she presented on Valentine’s Day. “If you’re interested in the building, we can walk up?” she asks. So up the stairs we go. “If she was not confident, she did a great job of hiding it,” says Myers in his cowboy cadence. From his studio on Westwood Boulevard, the don’t-throw-stones architect, who is revered for reshaping the framework of traditional design with his signature glass and steel structures, is short of material when searching for an anecdote that illustrates the distinct character of a great architect — someone like McKenna. “You could tell right away what the bone structure and the shape of the body is of a girl or a boy who will make a very great dancer, but what you can’t tell is what the soul is and what the ambition is,” he explains. “In architecture it’s even harder.” What he does know is that McKenna has it. There’s a sense that Myers quietly credits himself for spotting a rare bird on that Montreal night. “It’s been an amazing time to make history in Toronto,” says McKenna, noting that KPMB has worked on seven of the city’s cultural projects that occurred between 2003 and 2009. “I mean, it’s huge, how do we get so lucky?” Her most publicly extolled is The Royal Conservatory of Music’s Telus Centre for Performance and Learning and its centrepiece Koerner Hall, which has received over a dozen awards and has been hailed the “final jewel in the crown of Toronto’s Cultural Renaissance.” As she stares down at the initial sketch she conceived, the particles of a project that spanned nearly two decades cast a wistful expression on her face. 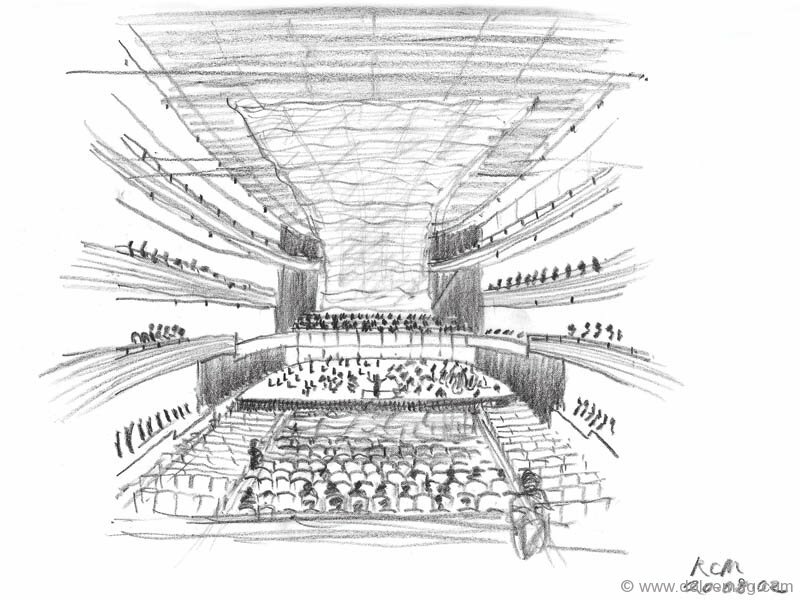 “I’d never done a concert hall, who gets to do that? And I was thinking, ‘how do you wrap the room with people?’” she says, waving her finger over the chorus, the flipper walls and the acoustic veil as if she were conducting an orchestra. What was once just pencil on paper has become a global platform for the arts. “McKenna created this vision. This irrevocable vision,” says RCM president Peter Simon. “It’s this notion that you’re building something for the ages, you’re building something that is at an international standard. 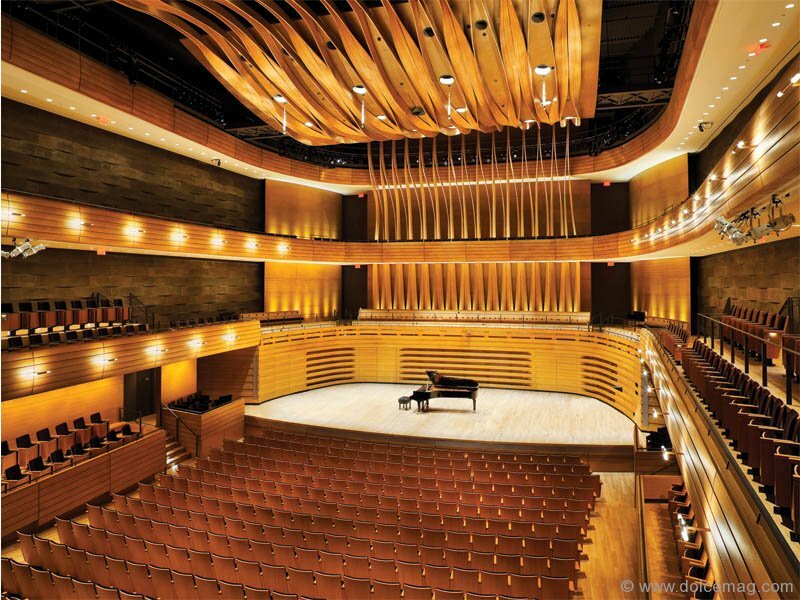 How many architects have that kind of vision and that kind of taste and can actually design something that’s so beautiful that everybody in the world just flocks to that hall because they want to see it?” he adds of McKenna, who was named an honorary fellow of the RCM in 2011. Unabashed to admit she’s had the fortune of great support along the way, the mother of two kids in their 20s has rewritten the work-life narrative. “The common good is to have women active and happy. 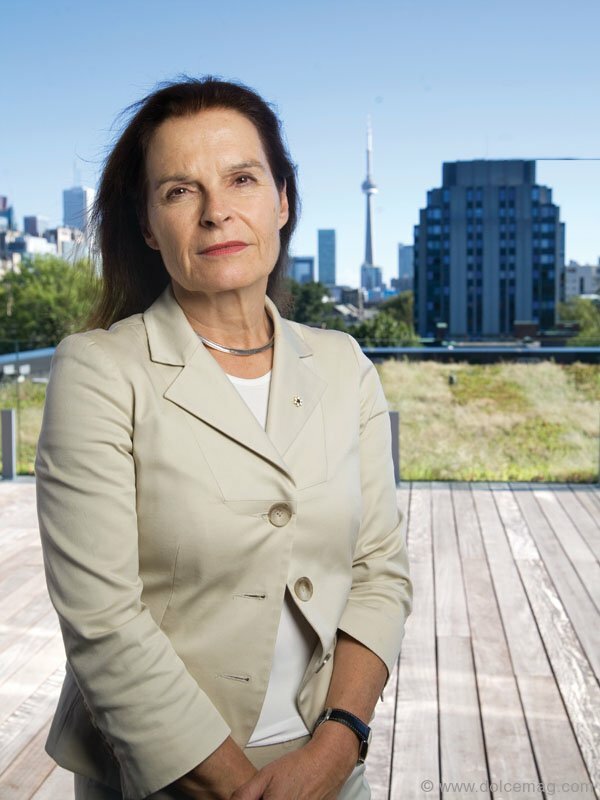 I wouldn’t be happy at home,” says McKenna, who recently became a Metrolinx board member to better serve the transportation demands of a swelling population. Whether it meant having a baby on Thursday and being back at the office on Monday, or staying awake while the world was asleep, she’s navigated an eventful life that’s just right for her. “I don’t agree with Anne-Marie Slaughter that you can’t have it all, you just have to decide what all is.” While it’s not uncommon for her to put in 15-hour days, McKenna’s made it a point to never miss breakfast or dinner at the Rosedale home she and Tudhope have happily renovated a handful of times. “I knew she was destined to become a wonderful designer and architect, but I also knew it would not be at the expense of having a family,” says Streep.